Smart Company Smart50 Awards RUNNER UP! 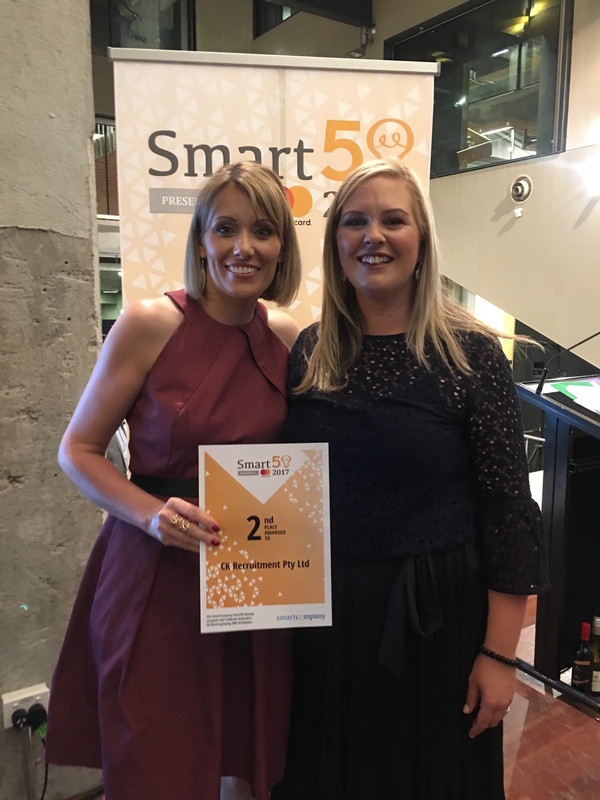 The rapid growth of CK Recruitment has been recognised in the 2017 Smart 50 awards. The awards showcase Australia’s fastest growing small to medium sized businesses. Smart Company recognised us as the second fastest growing small to medium sized company is Australia. This is on the back of $9million turnover and 933.7% growth over the 2016 – 17 financial year. We’re extremely proud of our team and our achievements since establishing CK Recruitment, just a few short years ago in 2014.